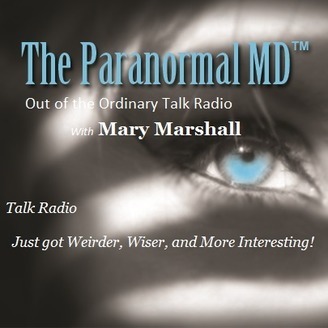 The Paranormal MD Radio Show © is Out of the Ordinary Talk Radio. Mary Marshall is the producer & host. Ghosts, Cryptids, Fringe Science, UFOs, Psychics, Conspiracy Theories are some of the topics discussed. Mix in current news, humor, insight, and some personal perspectives, and you have an awesome show you won't want to miss! 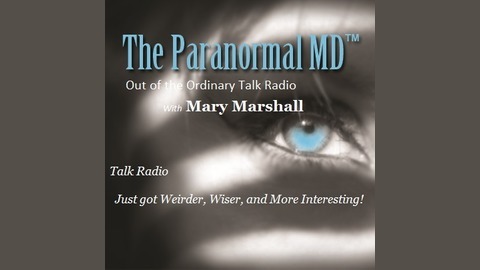 Mary Marshall is the Founder of The Paranormal MD investigation & research organization. Mary implemented one of the first Paranormlal Studies courses taught at an institute of higher education. Mary teaches interdisciplinary paranormal courses at few colleges in Illinois. She is an author (pending book release), a guest speaker/presenter at conferences & events. Ryan O’Shea is an American television host, entrepreneur, public speaker, and futurist. He is best known as a host and producer of Pittsburgh American Broadcasting Company affiliate WTAE-TV’s online lifestyle and entertainment channel, 4 the 412. He is the creator and host of the futurism, science, and technology themed podcast Future Grind, and is a public speaker on futurist topics such as biohacking, transhumanism as it relates to body augmentation, biohacking. O’Shea has spoken at conferences around the world on the topics of human enhancement and futurism.O'Shea serves as the spokesperson and advisor of Grindhouse Wetware, a biotechnology startup company that creates technology to augment human capabilities. Show Info: Ghosts, Fringe Science, inter-dimensional beings, UFOs, psychic phenomenon, and conspiracy theories, and true paranormal crimes, are some of the topics that will be up for discussion. Discover burgeoning fringe technology and theories that are relevant to our everyday lives. Toss into the mix some current weird world news, some humor, some insight, and some personal perspectives from your show host and her guests, and you have an awesome show you won't want to miss!